Rob Van Dam has a new film project in the works called "Boardwalk Hempire: The Rise and Fall of the Medical Kush Beach Club." John Hennigan (formerly Morrison) won the WWFX title in Manila, Philippines. Hogan talks HBK, creative control and 3 way with Warrior and Linda ?!? A Japanese card company bought New Japan Pro wrestling for $6.5 million. Ricky Morton and Robert Gibson to be at the NWA Legends Fanfest Weekend this August !!! 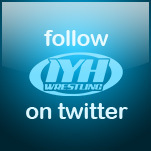 The former Hurricane Shane Helms will be live on IYH February 15th !!! 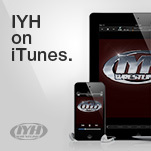 Call in and ask a question yourself 1 508 644 8503 or leave one now on the IYH Forums. Helms will be talking about his upcoming Meet and Greet for Remix Pro Wrestling in March plus anything else you wanna know !!! WWE is considering a 3D version of PPVs starting with Summerslam.